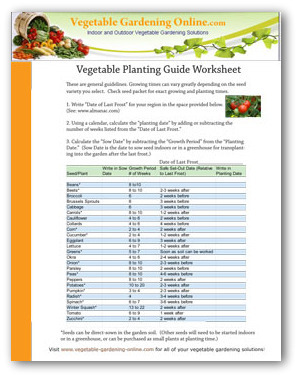 Help Plan Your Vegetable Garden Planting Times! 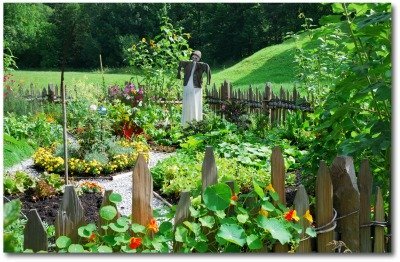 If you are considering starting a garden of your own, one of the first things you want to know is when is the best time to plant your garden. Vegetables, like any other plant, have optimal growing periods, and if you don't follow their schedule your garden may not grow. 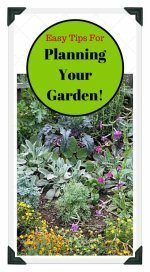 Whether you are planning a traditional backyard garden, or a container garden, this vegetable garden planting guide will be helpful for planning your garden. As any experienced gardener will tell you, the hardest thing about growing vegetables is getting the timing just right! 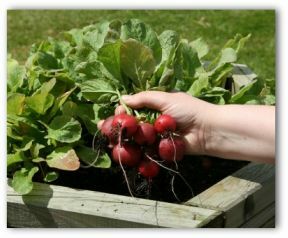 Depending upon the climate of the region in which you reside, it may be possible to grow crops of vegetables throughout the fall and winter. As long as the average temperatures don't fall below freezing, the soil will not freeze too deep and often will not damage a carefully mulched garden. Use the vegetable garden planting guide to help you determine the average temperatures in your area. Many southern and western states are actually quite well-suited for winter crops, while most northern states simply get too cold. The key to successful winter gardening is being aware of the expected date of the first frost. The first frost is also known as the killing frost by experienced gardeners because many of your vegetables simply will not survive it! Every region of the country has a different estimated first frost date and you can consult the zone chart to find yours. Vegetables can be broken down into three groups: late maturing crops, mid-season crops and early maturing crops. This information helps determine when to plant and how long it takes to reach maturity for harvest. Late maturing crops take approximately 90 days to reach maturity. 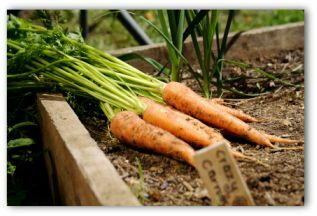 They include root-crops such as carrots, parsnips, beets, rutabaga and onions. They also include leaf-crops like cabbage, beans, cauliflower and Brussells sprouts. Mid-season crops take approximately 60 days to reach maturity. They include root-crops such as early carrots, turnips, leek and kohlrabi. They also include leaf-crops like Swiss chard, collards, perennial herbs and perennial flowers. Early maturing crops take approximately 30 days to reach full maturity. They include root-crops such as chives, radishes and bunching onions. 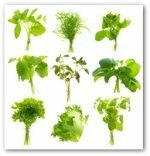 They also include popular leaf-crops like broccoli, lettuce, mustard and spinach. 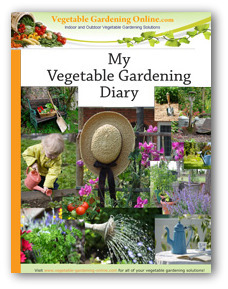 Use our vegetable garden diary to keep notes from year to year to help plan your garden for the next season! It is easy to forget small details that can make a big difference in your gardening success! So take a few minutes to jot down notes in your diary. Though planting times and first frosts vary by region, a quick look at a vegetable garden planting guide and zone chart will provide you with all the information you need to get your garden started at the right time. 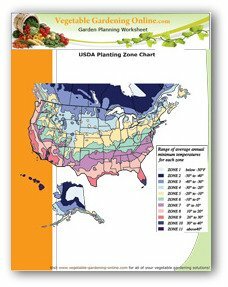 We have provided this information to help you plan and organize your vegetable garden planting time based on the conditions in your area.